SANTIAGO DE COMPOSTELA, Spain The driver of a Spanish train that derailed at high speed, killing 79 people, has been provisionally charged with multiple cases of negligent homicide. A court statement issued late Sunday said investigative magistrate Luis Alaez released Francisco Jose Garzon Amo without bail. The statement says Garzon must appear before court once a week and is forbidden to leave Spain without permission. Father of American killed: Spain train crash "pathetic"
Garzon was driving the train carrying 218 passenger in eight cars that hurtled far over the 80-kph (50-mph) speed limit into a high-risk curve on Wednesday evening, tumbling off the tracks and slamming into a concrete wall. A local resident who rushed to the scene of the accident said in an interview published Sunday that minutes after the crash the driver said he had been going fast and couldn't brake. 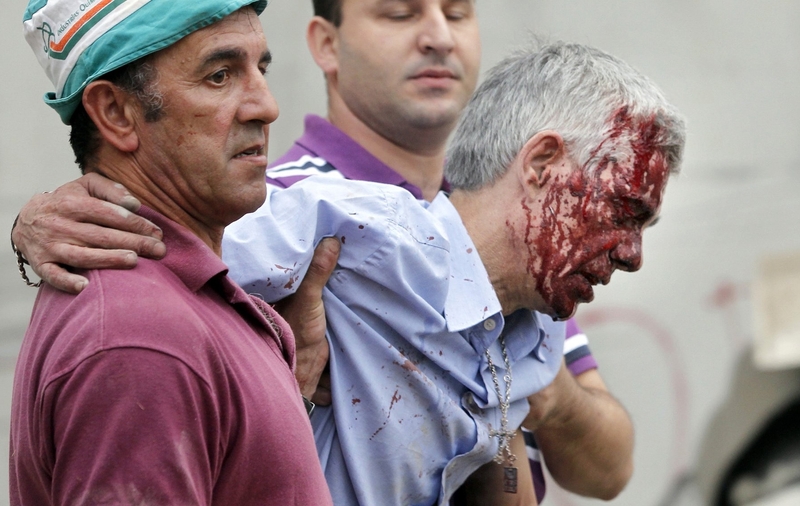 Evaristo Iglesias said that he and another person accompanied the blood-soaked Francisco Jose Garzon Amo to a stretch of flat ground where other injured people were being laid out, waiting for emergency services to arrive. "He told us that he wanted to die," Iglesias told Antena 3 television. "He said he had needed to brake but couldn't," Iglesias said. He added that Garzon said "he had been going fast." The station showed a photograph of Iglesias in a pink shirt and cap helping carry the driver after the Wednesday accident in the northwestern Spanish town of Santiago De Compostela. It also aired television footage of Iglesias working beside the wrecked train to help other survivors. News of the driver's charges came shortly after the accident's death toll climbed up to 79. An injured passenger succumbed to her injuries in a hospital, becoming the incident's second American fatality. Myrta Fariza, who was from Houston, was on the train with her husband Robert. Robert, told CBS News correspondent Allen Pizzey last week he was worried about his wife. "She got hurt very bad her scalp was all like that -- flipped over -- and she was bleeding out of her mouth and out of her ears, and she was conscious though...she knew what happened," Fariza said "CBS Evening News" Thursday.